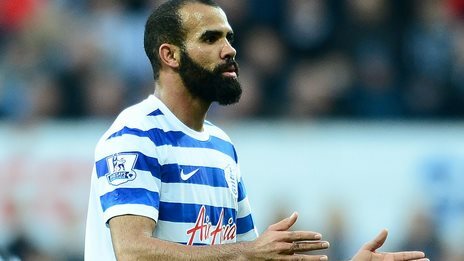 Queens Park Rangers midfielder Sandro has returned to Brazil as the row over his work permit rumbles on after it was revealed that he played without one for the whole season. The £10million star failed to obtain a new work permit when he signed from Tottenham in September and faces having his contract cancelled if he cannot sort the appropriate paperwork. Sandro was pulled out of QPR's last three Barclays Premier League games when they were made aware of the problem and the relegated club have since had their licence to sign non-EU players suspended. The 26-year-old failed to obtain a new work permit - as required by law - after his deadline-day move went through last year and he played in 17 Premier League games before the issue was recognised. A Home Office investigation revealed QPR midfielder Sandro did not have a work permit and it has suspended Rangers' sponsor licence, which allows clubs to apply for visas for players from non-EU countries. Without the licence Rangers can still sign players from non-EU countries but they cannot play until the suspension is lifted. Sandro cannot play until he has a working visa. A Home Office spokesperson said: "Sports clubs that benefit from the immigration system must ensure they have robust compliance systems in place or risk losing their privilege to sponsor players and workers. "We continually monitor all sponsors on the register and we will take action where we find evidence that compliance duties are not being fulfilled." Last month, QPR said they were told of an issue with his UK residency visa and were advised not to select Sandro for their Premier League game at Manchester City. An Olympic silver medallist with Brazil at the London 2012 Olympics, he joined Rangers from Tottenham in September 2014, having spent more than four years at White Hart Lane. He linked up again at Loftus Road with then Rangers manager Harry Redknapp, who signed him for Spurs from Internacional.